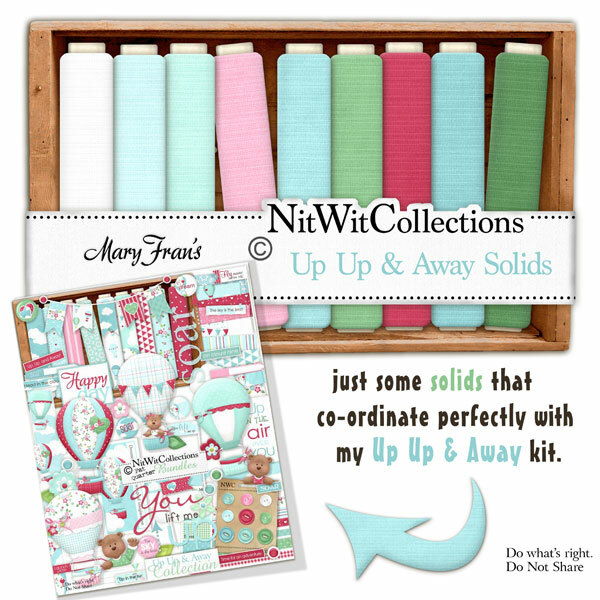 "Up Up & Away" Solids are the perfect addition for your creating. These colour matched papers will get good use!! These solid digital papers are NOT included in the FQB "Up Up & Away" Collection so please don't miss out! 11 Solid digital background papers with a lined embossed pattern that coordinate with my "Up Up & Away" Collection.